Key Difference: The Samsung Tab 2 7.0 is a 7-inch tablet that offers a PLS TFT LCD display, with approximately 170 ppi density. The device is also available in two versions; Wi-Fi only and Wi-Fi + 4G. The Wi-Fi only tablet is powered by a 1 GHz Dual-core processor and is available with the Android v4.0 Ice Cream Sandwich, while the Wi-Fi + 4G LTE tablet is powered by a 1.2 GHz Dual-core processor and comes with Android v4.1 Jelly Bean. 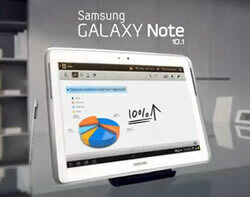 The Galaxy Note 10.1 is a tablet computer designed and manufactured by Samsung. It features a 10.1-inch screen and is marketed as a platform for multimedia consumption including movies, music, and web browsing. The Note 10.1 also features the use of a stylus named the S-Pen. The Note 10.1 runs on Android 4.0. An OEM which also had Android based devices in the market is Samsung. Samsung Group is a South Korean chaebol, the largest in South Korea. A chaebol is basically a conglomerate. Samsung has been launching popular phones and tablets, which have taken the market by a storm. Samsung Galaxy series has been one of the most popular series on the market and has been going head to head with the trend-setting Apple phones. 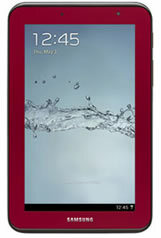 One of the popular tablets launched by the company is the Samsung’s Galaxy Note 10.1. The Galaxy Note 10.1 is a tablet computer designed and manufactured by Samsung. It features a 10.1-inch screen and is marketed as a platform for multimedia consumption including movies, music, and web browsing. The Note 10.1 also features the use of a stylus named the S-Pen. The stylus is meant to be used as an input device for sketching and note-taking. The Note 10.1 runs on Android 4.0. The stylus and the tablet work seamlessly together and also have a palm rejection software. The palm rejection software makes sure to reject any other body parts when the stylus is connected to the screen, enabling people to place their hand on the tablet as they write. Another new feature that was launched with the tablet was the Multiscreen option. The multiscreen feature allows the user to open and work on two apps simultaneously. However, it is currently limited to only six apps (S Note, Polaris Office, Video Player, gallery, Email, and the Android 4.0 browser) that can be opened side-by-side. The Note 10.1 is available with 16 GB, 32 GB and 64 GB storage capacity. The models are further bifurcated under Wi-Fi only, Wi-Fi and 3G, as well as Wi-Fi, 3G and LTE. The tablet houses1.4 GHz Quad-core Cortex-A9 processor with 2 GB RAM, working seamlessly without any lag. The Note 10.1 offers 5 MP autofocus rear camera and a 1.9 MP front camera for video calling. The tablet also houses a powerful 7000 mAh battery that can provide a talk time of approximately 33 hours. It also offers a variety of features including IR Blaster, which allows the tablet to become into a fully-functional remote control. It works with Peel’s Smart Remote app that also displays a list of shows or movies that are currently playing on the local provider’s channels. The information for the detailed table about the two phones has been taken from the Samsung website, pcmag.com, engadget.com, and GSMArena.com.